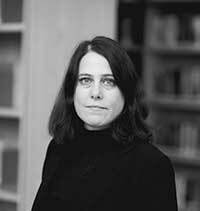 Sofie Van Bauwel is an Associate Professor at the Department of Communication studies at the Ghent University were she teaches on cultural media studies, gender and media and television studies. She is part of the CIMS and her main field of interest is gender, sexuality media and film and television. She is involved in several projects with a focus on the media as signifying articulations in visual popular culture. She was vice-chair of the Gender and Communication section of the European Research and Communication Association (ECREA- 2006-2012) and is part of the editorial board of the Journal of Media Theory. She publishes internationally and nationally on popular media, gender and popular culture.